The winds are whipping through Lubbock, Tex. with dust swirling through the air. 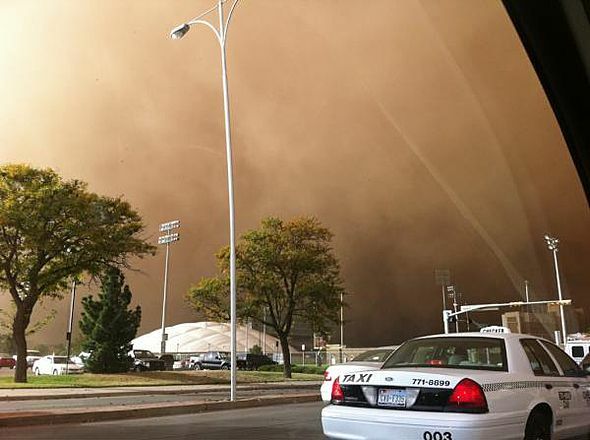 “The dust storm just gave us a preview of West Texas during a nuclear winter,” a dust storm witness Will McKay tweeted. Around 6:30 pm local time, winds were sustained at 39 mph, but gusting to 64 mph. At that time, there had been no damage reports by the National Weather Service. 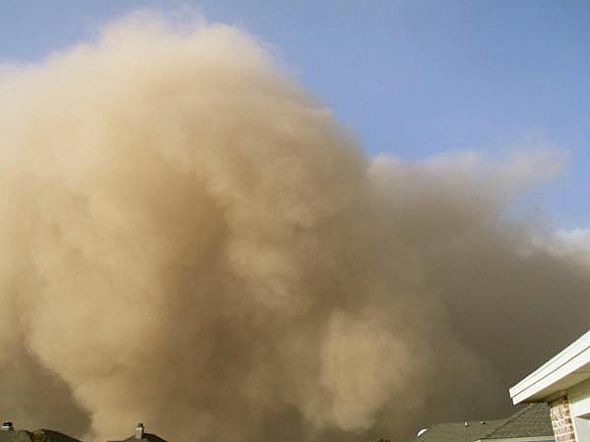 What caused the dust storm? It’s “partly because they’re in that terrible drought,” AccuWeather Senior Meteorologist Frank Strait said. The strong winds also downed numerous power lines in Lubbock, while causing damage to an airport hanger and the roof of a fire department nearby. “dust storm of the century. #lubbockproblems,” Twitter user kmagier said. 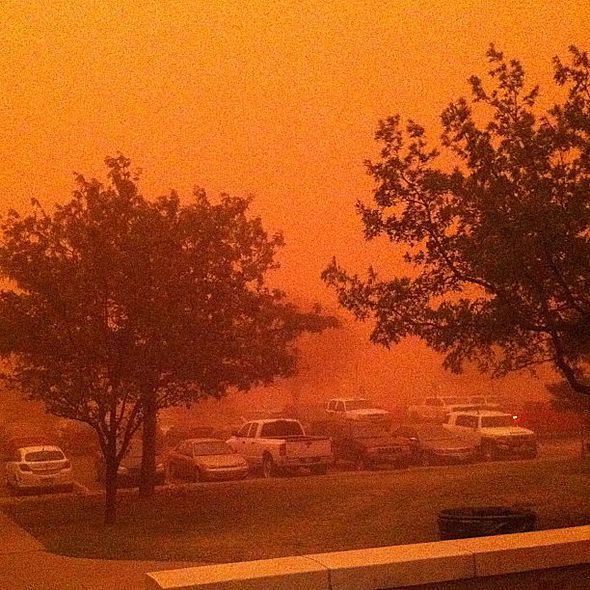 “In case you’ve never seen a Panhandle/South Plains dust storm… #crazy” Nicole Guthrie tweeted. “Have to shower after being outside in this tornado of dust! 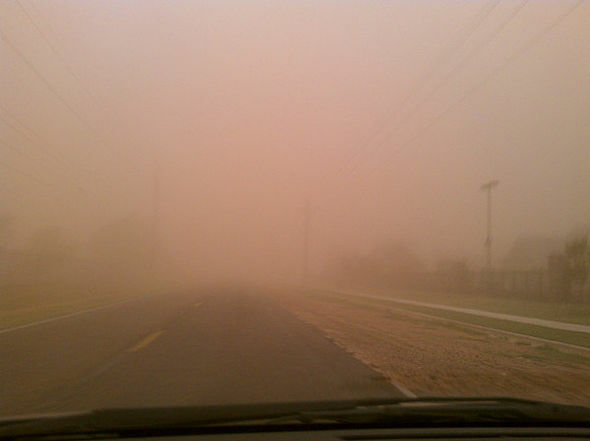 #sandyteeth,” dust storm witness Tracey Clem tweeted. “Take cover! Dust storm!” Carrie Skinner tweeted. Average sea surface temperature (SST) anomalies (degree C) for the week centered on Aug. 31, 2011, indicate the re-emergence of La Niña in the tropical Pacific Ocean. NOAA’s National Weather Service is the primary source of weather data, forecasts and warnings for the United States and its territories. NOAA’s National Weather Service operates the most advanced weather and flood warning and forecast system in the world, helping to protect lives and property and enhance the national economy. Visit us online at weather.gov and on Facebook.